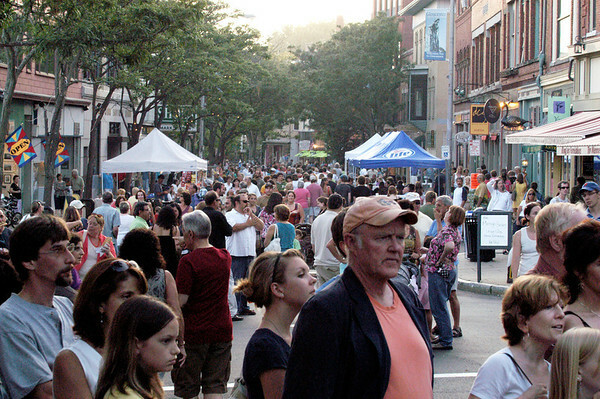 Gloucester: Hundreds fill Main St Saturday afternoon for the Block Party,were they could enjoy a meal out side, listen to music, watch dance, and shop. Desi Smith Photo/Gloucester Daily Times. July 18,2009.